The growing region of Ocean Township offers a number of opportunities to local residents, and moving to this area can be an ideal option for families and young professionals alike. However, planning a household move can be a stressful process, and having a qualified Ocean Township moving and storage company on your side can make all the difference in a seamless transition. Since 1977, Simonik Moving & Storage has been the top choice for Ocean Township New Jersey moving companies, and we go above and beyond to ensure our customers are 100% satisfied with their experience. Through comprehensive moving and storage solutions and unsurpassed customer service, you can trust that your belongings are in good hands with our professional team of Ocean Township movers! Since the beginning, our BBB accredited Ocean Township New Jersey moving and storage company has been committed to professionalism in the industry. As a trusted agent for Allied Van Lines, we are proud to be part of a global network of moving professionals that can expertly coordinate any size relocation. Whether you are moving across town or around the globe, Simonik can handle all the details of your relocation. Ocean Township Local Movers – When it comes to relocating in the New Jersey region, nobody knows the area better than our Ocean Township moving company! Ocean Township Residential Movers – Take the stress out of your next household move by letting our Ocean Township New Jersey movers handle all the details. Ocean Township Long Distance Movers – With expert coordination and professional service, we can make your long distance relocation a seamless process. Ocean Township International Movers - Our trusted team of Ocean Township movers has the expertise you need to ensure that your international move is a pleasant experience. Ocean Township Packing Services - Our uniformed, trained crews can help you pack up all the rooms in your home for a smooth relocation process. 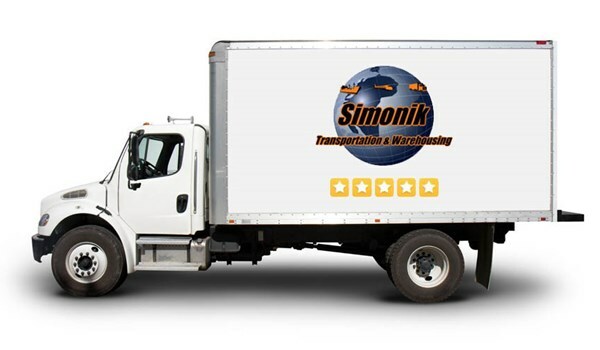 As an award-winning member of the NJ Warehousemen & Movers Association, Simonik understands the value of quality service and expert care. Our Ocean Township New Jersey movers have been the recipients of numerous recognitions over the years, including earning the 2016 Women’s Choice Award for America’s Most Recommended Moving Company. From free in-home estimates to personalized move coordination, Simonik will go above and beyond to ensure that you have an ideal moving experience. For high-quality commercial and residential moves, there is no better choice in Ocean Township moving companies than Simonik Moving & Storage! If you’d like to learn more about our Ocean Township movers can help you have an exceptional moving experience, then all you need to do is give us a call today! For your convenience, you can also fill out our online quote form to easily connect with a professional representative and schedule your free, no-obligation estimate.